It is a few months since a baby llama or Cria has been born but this morning we were lucky enough to have this little one arrive. 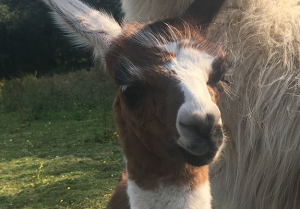 The last 5 babies have all been boys so it was wonderful to welcome this little girl into the world. She is huge and very strong and we absolutely love her colour too! 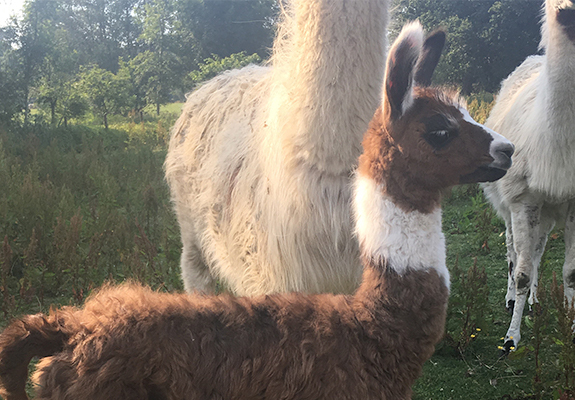 Baby llamas have the softest fur so when you visit make sure you have a stroke.